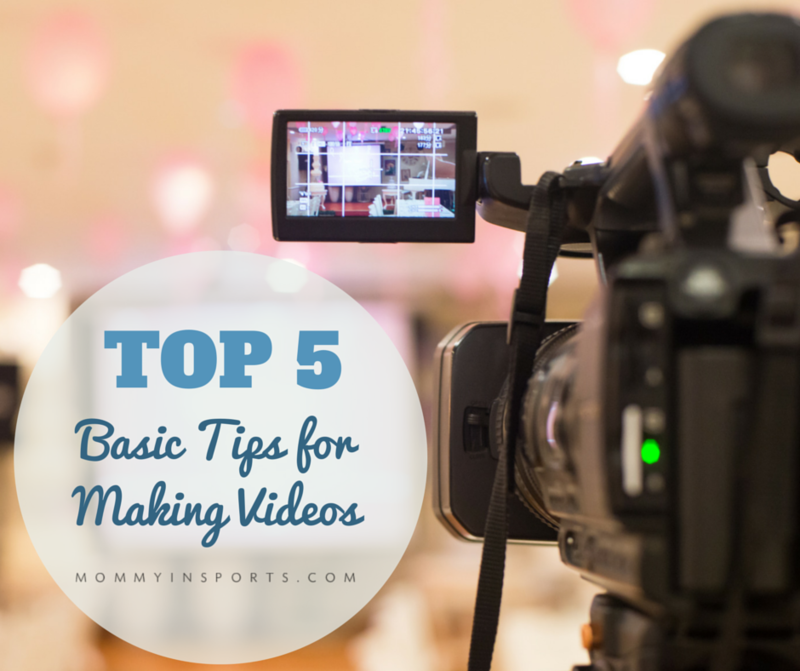 So I thought it would be appropriate today to share my top 5 basic tips for making videos with a video! Don’t be scared of video, it’s fun, and takes less time than actually writing a post! And unlike your one dimensional writing, video helps you come to life and build a bigger connection with your audience. If you are a video newbie, here is a quick tutorial to get started. top 5 basic tips for making videos! If you’d like some examples of ways to integrate video into your business or blog, here are a few examples of how I’m using video currently. I hope this motivates you to at least try this new strategy for your business, brand, or blog! And if you have more questions, please leave them in the comments. This is so brilliant. I haven’t had the courage to make a video yet, but maybe I will with your tips! You can do it! 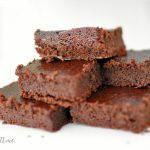 Do one of your recipes as a video. And if you don’t want to be on camera just lock down the shot and shoot your hands cooking! LOVED these tips and you were born to be on camera. Have fun at the conference tomorrow! good job girl! have fun tomorrow! Excellent video! I adore how everyone is using sell phones for video production 🙂 your hair is so pretty! Thank you! And yes technology is great! Would you believe I’ve never really made a video, other than on iPhone but nothing special there! No fun graphics and songs like you have. I can’t imagine I’d have the ease you do, but phones are surely amazing these days. 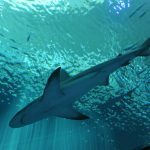 I’d love to talk through a blog post and use photos! And lighting is key for me. Yes I play with lighting a lot and use windows and bounce boards, but that’s the advanced video! You have lots of opps to do videos. You could talk through your favorite photo shoot, or DIY best shots of your kids with a phone! The sky is the limit…just play. You would pick it up in no time! I am so pinning this for later! I wish I could make it this weekend! Good luck and have fun! Fantastic tips Kristen! I’ve been working on getting set up to do videos for a while now, hopefully I’ll have it ready to go soon 🙂 Social media is really moving more and more towards video and it is such a great way to connect with your readers! I am so chicken, too scared to do this yet! I love your tips though. Maybe someday soon, now armed with your tips, I can do it! Awesome tips! I have been thinking about including videos… but I just need to find the TIME to make them. I tend to over complicate things but you are so right, simple is best.. esp for someone just starting out with videos like me! Great post! Good luck today and your conference! I do too – I want AVID and the Sapphire plug in and a top notch shooter…but bottom line we are lucky we have the resources we do! And you don’t have to be on camera, there are lots of ways to just VO videos. I need to get you my info from talk today! Awesome video tutorial!!!!! I may have to dabble in video but I hate myself on camera so I like that you mentioned that I don’t have to be on camera – instead I can use images like a slideshow, etc. Can I be honest? I don’t like prompters because you can see your eyes moving ad it’s not so natural. You have to have it pretty far away from you so ppl can’t see your eyes moving. I’d love to hear his thoughts, I’ll google his course! I find lighting is the scariest part of video-making. (Even more important for those of us approaching 60, ah em.) I will try to use the natural light, be sure it is in front of me, and pray. If you do an additional piece on LED lighting, I’d love to see it. Thank you for providing some courage! I will try! I need to brainstorm a video series! Thank you again for pointing me to this video during the Twitter Sharefest today! I have only done two vlogs and I am so not a natural like you. However, going to built a bridge and get over it then make like a Nike and Just Do It! One question – how do you have your logo at the beginning and end of your video? I that an iMovie feature you can use on your phone? No I made that logo animation through a site called videohive.com and I edited it. If you don’t have editing experience though go to fiverr, you can get one for $5! 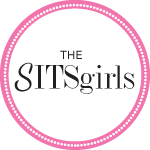 I am so happy I saw your post on twitter through #SITSblogging! I absolutely love your blog! As a published model & MUA, the last thing people would think, is that I’m also a diehard NFL & NHL fan (And a proud Fantasy Football champion lol), It’s inspiring when I see Women reporting Sports. Any hoot! Aside from that, this post couldn’t have come at a better time! I’ve been back and forth when it comes to vlogging. Mainly because I notice that I end up tripping over my own words lol. I could practice a million times, and have a piece of paper in front of me, and once I press record… My mind goes blank and I forget everything. It happens all the time with me lol. Back in 2012, I was interviewed on ESPN’s Outside The Lines, and knew all the answers to the questions I was being asked. Unfortunately, the situation was no different for me on there either. Maybe I should just stick to posing behind the camera lol. Thank you for this; I needed it! I’ve been thinking more and more about integrating video into my blogging. I just need to figure out what I want to say! You’re class was awesome. Excited to take your tips and get started. Thanks! I’m so glad it helped, so great seeing you! Great post! I’ve only put a few videos up, but I know how helpful and important they can be. Love the idea of using blocks to prop up a phone. Thanks for all the great tips! I just really need to get started one of these days! I can’t wait to be in our new house to have a possible location to do videos! I have an idea in my head for a video series. Gotta get started somewhere! Thanks for these great tips. You make it seem so simple. I thought I would never do videos because I had no idea where to even start. I’m still a bit apprehensive, even though I know videos bring in the money! Great post! I’ve just started incorporating videos into my blog. It was a little scary at first, but I know that video is the future…plus, it’s been great to learn a new skill. I definitely think you should start a video course. You are so talented and have a good way with people, I think it would be a valuable asset for many. Thanks for the tip and reminder for me to focus on video.